Arctic Cat snowmobile running too lean refers to when the skimobile’s internal combustion engine has a high proportion of air or lean air-to-fuel ratio. Fixing a lean condition is important. Running lean causes high combustion temperatures, causes pre detonation, hurts performance and can causes severe engine damage. This article discusses how to fix a 2002 Arctic Cat snowmobile that’s running lean. Check for one or more of the following possible malfunction to fix lean air-to-fuel ratio. Choke plunger remains seated. If the chock plunger remains seated, ensure it’s adjusted correctly. Refer to the download repair manual for adjustment procedures. Service the choke cable and make sure it’s working properly. Replace the plunger assembly if needed. Pilot air screw (VM-style) too far out or damaged. Adjust the pilot air screw according to factory specifications. Refer to repair manual for step-by-step adjustment procedures. Replace the pilot air screw if damaged. Fuel mixture screw (TM-style) too far in or damaged. Adjust the fuel mixture screw to factory specifications. Refer to fuel mixture screw adjustment procedures in the factory service manual. Replace the fuel mixture screw with a new part if it’s damaged. Throttle valve sticks open, is damaged or worn. Service the throttle valve and replace if damaged. Replace worn throttle cable or spring if necessary. Pilot jet outlet obstructed. Remove obstructed pilot jet. Float/inlet needle obstructed, damaged or improperly adjusted. Remove obstruction. Inspect inlet needle and replace if damaged. Inspect float and adjust float tab to factory specs. Float bowl vent hose (TM-style) obstructed, kinked or damaged. Remove any kinks and replace vent hose if damaged. Needle jet obstructed. Clear obstruction. Main jet obstructed. Clear blockage. Jet needle E-clip position incorrect. Adjust E-clip to factory specification. Refer to download repair manual. Main jet too small. Replace with a larger main jet. Float chamber vent hose (TM-style) obstructed, kinked or damaged. Inspect hose for kinks. Replace float chamber vent hose if damaged. Always refer to the factory service manual when servicing the snowmobile or tuning the carburetor. The manual will assist you in selecting the major tuning components for the TM-style and VM-style carburetors. It list needle jets, pilot jets, jet needles and throttle/piston valves on charts according to their sizes. 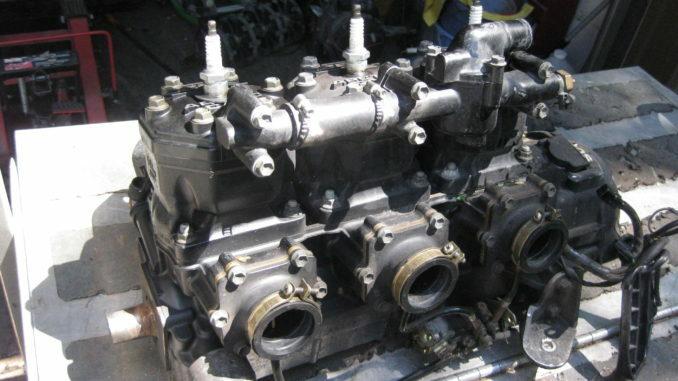 It also shows you how to inspect, disassemble, clean and assembly the carburetor. Does this information apply to my 2002 Arctic Cat ZL 550?